I offer private lessons and chamber ensembles during the day for homeschool families. Learning to play a string instrument is a wonderful way to incorporate a music curriculum into a weekly homeschool schedule. 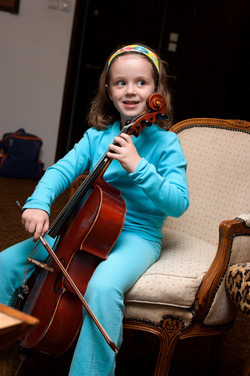 During private lessons, students learn the instrument at their own pace, and sessions are catered to the student to fit their needs and goals. Chamber ensembles are fun, weekly sessions where students get to learn how to make music together. They are placed in groups with students with similar musical abilities to focus on ensemble skills and repertoire; concluding with a performance in the community at the end of each musical season.